Senior citizens have earned the right to live how they choose, where they choose, and in many cases, nursing homes and assisted living facilities are not a welcome option. Aging bodies and failing health can make independent living more difficult as time goes by. 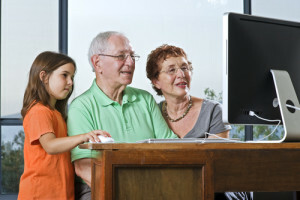 Fortunately, technology is available to help the elderly maintain their independence and remain longer in their homes. Wireless tracking system with sensors that lets a remote caregiver track an elderly person’s activities and check on the elder at any time using a secure webpage. The system will alert caregivers of any disruptions by text, phone, or email. GPS mobile personal emergency response system that allows the user to summon emergency assistance by simply pushing a button. The system consists of a base station, a mobile unit, and a button worn as a pendant or on the wrist. A push of the button connects the user to a mobile help operator who can send help to the correct location even if the user is unable to communicate. Medication management system that dispenses meds, reminds the user to take them, keeps an inventory, and alerts and posts compliance information, which is accessible through any device with internet capability. Medications can be inserted into the unit by a pharmacy or the caregiver. Wireless activity tracker to help senior citizens lead healthier lives. It tracks calories burned, distance traveled, steps taken, stairs climbed, and quality of sleep. TV ears that enable elderly people with hearing loss to hear TV without turning up the volume. Users can set their own tone and volume without affecting others. The device reduces background noise and increases clarity and word discrimination. Pillboxie reminds seniors to take their medications, and equally important, tells them which medication to take and when. Eyereade allows the user turn the phone into a magnifying glass with a light to brighten the text. Luminosity helps users of any age sharpen their minds with games designed by neuroscientists to enhance attention, memory, and other mental skills. Skype lets seniors view friends and family while talking to them in video conferences. Park’n’Forget lets you punch in the level, aisle, or spot where you parked to help you find your car.